Stylish eco-friendly product in hardbound in fine quality. - This environmentally friendly notebook and pen is made of recycled paper and materials which are biodegradable and recyclable. - Very useful promotional product and great eco friendly way to promote your brand around the office and also to convey your corporate green environment message. 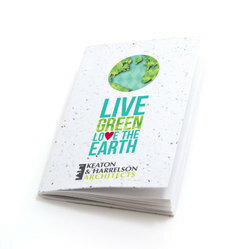 Printed Eco-Friendly Are Popular To Give Away As A Gift. Eco-Friendlys Are Excellent Promotional Items And An Eye-Catcher For Your Business. Brand My Brand Offers Wide Selection Of Printed And Unprinted Promotional Corporate Products, Eco-Friendly And Gifts. Best in class Eco-friendly Notebooks made from cotton, cork, PU material. Handcrafted designs. Best for giftings and personal use. - Eco friendly spiral note book with pen. - Eco friendly ball pen. - Stick ons and post-its induded. We are offering Eco Book with the pen. This Eco Book with the pen is known for its quality. The Eco Book with the pen is available in the market at the pocket-friendly rate. 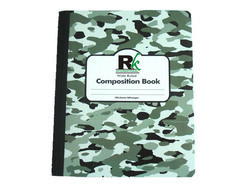 We are the leading manufactuer and suppliers of Ecofriendly Note Books as required.